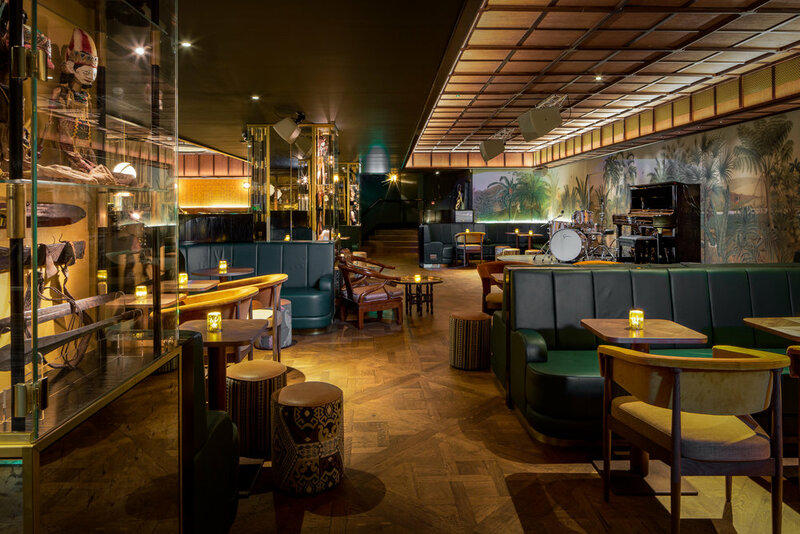 Speakeasy entertainment are the team behind award winning Nightjar, which opened in 2010, voted one of the top three bars IN THE WORLD AT 50 BEST BARS IN 2012, 2013 & 2014. IN NOVEMBER 2015, ORIOLE WAS LAUNCHED LOCATED IN SMITHFIELD MARKET. ORIOLE'S ACCOLADES INCLUDE AMONGST OTHERS, 'BEST NEW INTERNATIONAL COCKTAIL BAR,' SPIRITED AWARDS, 2016, 'BEST NEW BAR IN THE CITY', DESIGNMYNIGHT AWARDS, RUNNER UP FOR 'MOST STYLISH BAR' AT THE TIME OUT BAR AWARDS, 2016 AND NOMINATED FOR 50 BEST BARS 2016, ALONG WITH ITS SISTER BAR NIGHTJAR. LATEST TO JOIN THE SPEAKEASY ENTERTAINMENT GROUP IS SWIFT, LAUNCHED IN november 2016 in PARTNERSHIP WITH BOBBY HIDDLESTON AND MIA JOHnASSON FORMERLY OF MILK & HONEY. since opening, it has been equally award winning following in the footsteps of it's sister bars nightjar and oriole. "a hidden slice of old-school glamour on the fringes of shoreditch". "oriole is an underground cabinet of curiosities that draws on the adventurous spirit of colonial times, referencing the glorious drinking habits of the old world, new world and the orient". "there's always the time for a perfect cocktail". *PLEASE NOTE THE MINIMUM SPEND IS SUBJECT TO A DISCRETIONARY 12.5% SERVICE CHARGE. FOR A COPY OF OUR HIRES PACKS OR A QUOTE PLEASE EMAIL US.